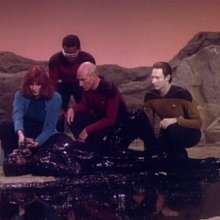 This is a repository of WAM in cinema and TV. Anyone can edit this wiki. 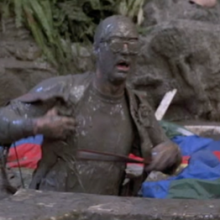 Calista Flockhart and Anna Friel fighting in mud. Runways and photoshoots where models get messy. 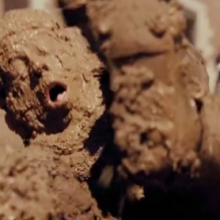 Alan Ritchson and Grace d'Argento covered in muck. 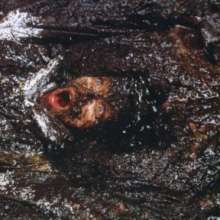 Daniel di Tomasso submerged in mud. 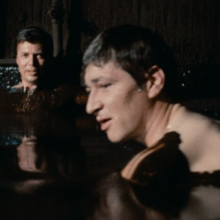 Rainer Werner Fassbinder and Karlheinz Böhm, 1976. Rick Moranis and Stuart Pankin, 1997. 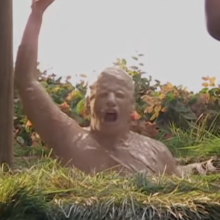 Contestants dive into a pool of mud for coins. Pictured: The Entertainer (Frank Maresca). 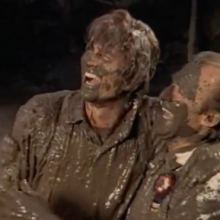 Michael Landon and Richard Bull fall into a mud pit during a tug-of-war match. 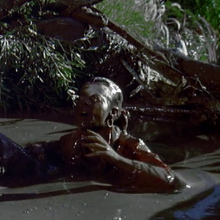 Bryan Cranston in a mud bath. 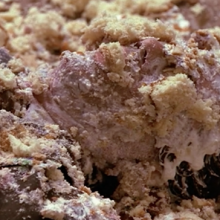 Sophie Lowe and Michael Socha stuck in marshmallow. 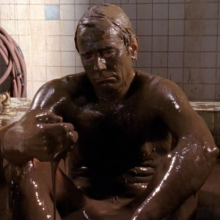 Chris Reid doused in chocolate.